In this installment: Axe Cop is a cop. With an axe. And he knows how to use it. Axe Cop is the hit webcomic written by Malachai Nicolle (age 5) and drawn by his brother Ethan (age 29). Along with his friends Dinosaur Soldier and Sockarang, Axe Cop fights crime by fighting the bad guys and chopping their heads off. Fans know Axe Cop, it’s a webcomic (www.axecop.com) and a comic book series from Dark Horse. There’s only one game that can match the anything-goes feeling of Axe Cop: Munchkin. Chop the bad guys’ heads off and take their stuff. This was the first version of Munchkin I bought, and I absolutely love the quirkiness and absolutely ridiculous things in it. Good episode as always guys. Aaaa-ha-ha. This was the most fun I have had since… Well since the Munchkin Bites episode. 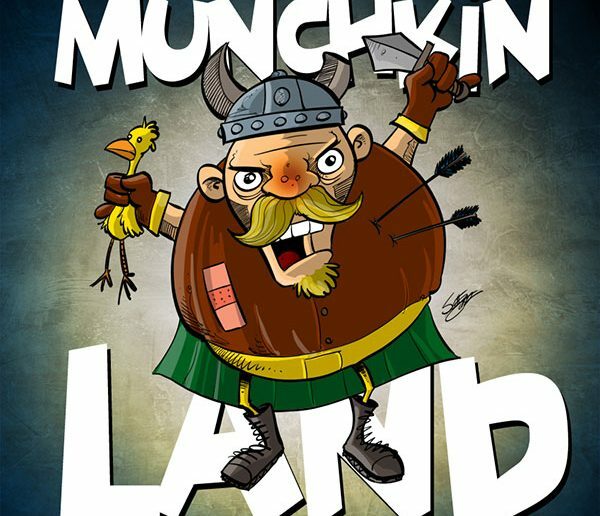 Thank you so much for making “Munchkinland” a thing. One of the top 3 things to come out of 2012. Counting my daugther.